Put your message out there and keep the customers coming in. Custom lawn signs are a great way to promote your business, sales and events. Popular with landscapers, construction companies and local shops, lawn signs can draw a crowd by highlighting special offers, informing a passersby on public works in progress or encouraging walk-ins. 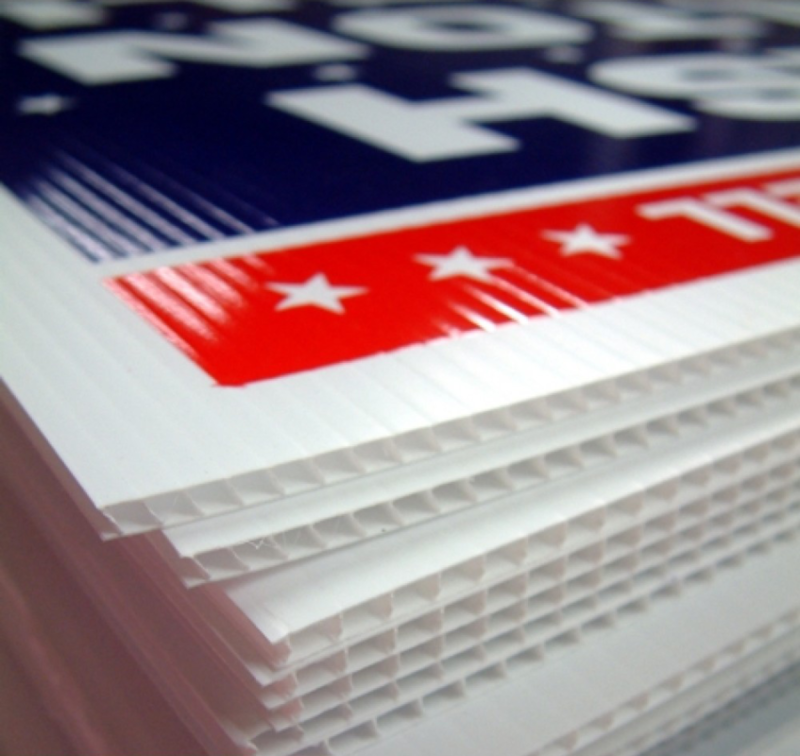 Our lawn signs are printed on tough, durable plastic so they will withstand the test of time and handle any weather that comes their way. 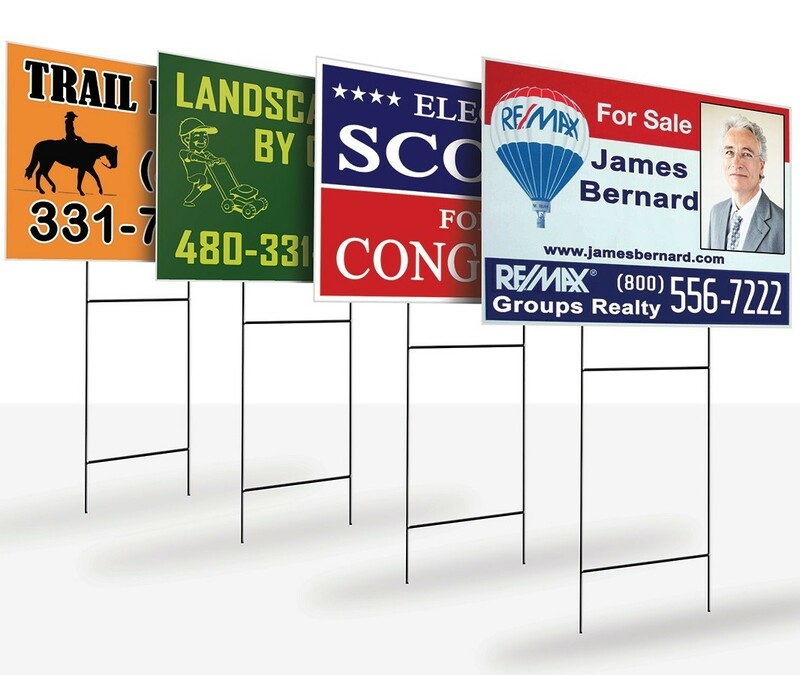 Mounting your sign is simple, too – place it in the ground or tie it to a fence or scaffolding.